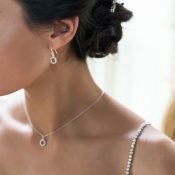 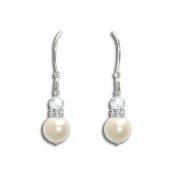 Whether you are looking for vintage wedding earrings, delicate pearl bridal earrings, diamante wedding earrings or vintage pearl and crystal bridal earrings, we have something for everyone in our collection of Wedding Earrings. 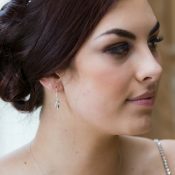 They can be exquisitely understated or glamorously flashy but bridal earrings are often the finishing touch to any wedding day look. 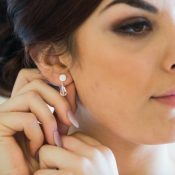 Choosing the right type of bridal earrings is dependent on many different factors, but getting that choice right will undoubtedly create the piece de resistance for your bridal look. 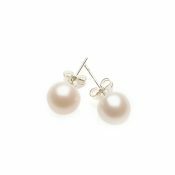 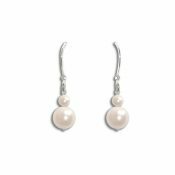 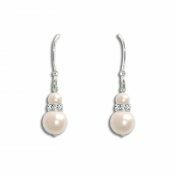 View basket “Ivory Elegance Pearl Stud Bridal Earrings” has been added to your basket.